We are very delighted that you have shown interest in our enterprise. 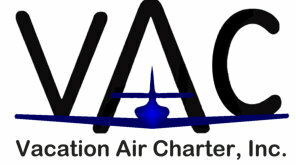 Data protection is of a particularly high priority for the management of the Vacation Air Charter, Inc.. The data protection declaration of the Vacation Air Charter, Inc. is based on the terms used by the European legislator for the adoption of the General Data Protection Regulation (GDPR). analyse or predict aspects concerning that natural person's performance at work, economic situation, health, personal preferences, interests, reliability, behaviour, location or movements. public authorities shall be in compliance with the applicable data protection rules according to the purposes of the processing. signifies agreement to the processing of personal data relating to him or her. dats subject from other Internet browsers that contain other cookies. A specific Internet browser can be recognized and identified using the unique cookie ID. remembers the articles that a customer has placed in the virtual shopping cart via a cookie. setting of cookies. Furthermore, already set cookies may be deleted at any time via an Internet browser or other software programs. This is possible in all popular Internet browsers. service provider of the accessing system, and (8) any other similar data and information that may be used in the event of attacks on our information technology systems. the personal data we process. The anonymous data of the server log files are stored separately from all personal data provided by a data subject. parties, unless such a transfer is required by law or serves the aim of the defense of the data controller. following his comments on a particular blog post. e-mail address decided in favor of this option. The option to subscribe to comments may be terminated at any time. processed. If a data subject wishes to avail himself of this right of confirmation, he or she may, at any time, contact any employee of the controller. the data subject shall have the right to be informed of the appropriate safeguards relating to the transfer. legal ground for the processing. processing pursuant to Article 21(2) of the GDPR. contact any employee of the controller. An employee of Vacation Air Charter, Inc. shall promptly ensure that the erasure request is complied with immediately. he or she may at any time contact any employee of the controller. The employee of the Vacation Air Charter, Inc. will arrange the restriction of the processing. or in the exercise of official authority vested in the controller. one controller to another, where technically feasible and when doing so does not adversely affect the rights and freedoms of others. In order to assert the right to data portability, the data subject may at any time contact any employee of the Vacation Air Charter, Inc..
concerning him or her, which is based on point (e) or (f) of Article 6(1) of the GDPR. This also applies to profiling based on these provisions. override the interests, rights and freedoms of the data subject, or for the establishment, exercise or defence of legal claims. for direct marketing purposes, the Vacation Air Charter, Inc. will no longer process the personal data for these purposes. In addition, the data subject has the right, on grounds relating to his or her particular situation, to object to processing of personal data concerning him or her by the Vacation Air Charter, Inc.
society services, and notwithstanding Directive 2002/58/EC, to use his or her right to object by automated means using technical specifications. on the part of the controller, to express his or her point of view and contest the decision. If the data subject wishes to exercise the rights concerning automated individual decision-making, he or she may, at any time, contact any employee of the Vacation Air Charter, Inc.. 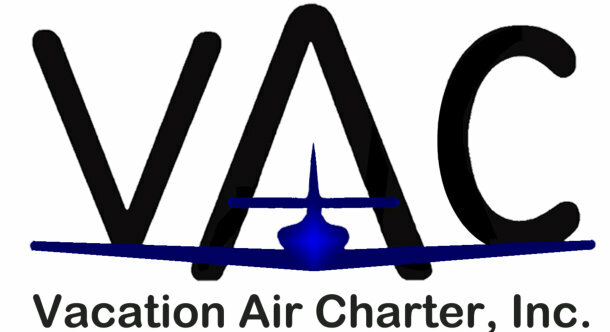 If the data subject wishes to exercise the right to withdraw the consent, he or she may, at any time, contact any employee of the Vacation Air Charter, Inc..
A social network is a place for social meetings on the Internet, an online community, which usually allows users to communicate with each other and interact in a virtual space. then Facebook matches this information with the personal Facebook user account of the data subject and stores the personal data. Facebook is not desirable for the data subject, then he or she may prevent this by logging off from their Facebook account before a call-up to our website is made. available to allow the elimination of data transmission to Facebook. These applications may be used by the data subject to eliminate a data transmission to Facebook. return for the payment of a commission. By using the Amazon components, the controller may generate advertising revenue. Amazon may understand that the data subject has clicked on an affiliate link on our website. data subject. In addition, cookies already in use by Amazon may be deleted at anytime via a web browser or other software programs. the Internet user, which is implemented by means of generating individual user profiles. The purpose of Google's AdSense component is the integration of advertisements on our website. Google AdSense places a cookie on the information technology system of the data subject. origin of visitors and clicks and subsequently create commission settlements. deny the setting of cookies. Such an adjustment to the Internet browser used would also prevent Alphabet Inc. from setting a cookie on the information technology system of the data subject. Additionally, cookies already in use by Alphabet Inc. may be deleted at any time via a web browser or other software programs. and which links were clicked on by the data subject. Tracking pixels serve, inter alia, to analyze the flow of visitors on a website. collected personal data through this technical procedure to third parties. to provide online reports, which show the activities on our websites, and to provide other services concerning the use of our Internet site for us. of the data subject, which serves Google, inter alia, to understand the origin of visitors and clicks, and subsequently create commission settlements. of the data subject. In addition, cookies already in use by Google Analytics may be deleted at any time via a web browser or other software programs. by the data subject or any other person who is attributable to their sphere of competence, or is disabled, it is possible to execute the reinstallation or reactivation of the browser add-ons. upload photos and network through friend requests. information technology system of the data subject automatically downloads a display of the corresponding Google+ button of Google through the respective Google+ button component. respective Google+ account associated with the data subject. stored on Google. Google further records this personal information with the purpose of improving or optimizing the various Google services. Through the Google+ button, Google receives information that the data subject visited our website, if the data subject at the time of the call-up to our website is logged in to Google+. This occurs regardless of whether the data subject clicks or doesn’t click on the Google+ button. button may be obtained under https://developers.google.com/+/web/buttons-policy. person who reached an AdWords ad on our website generated sales, that is, executed or canceled a sale of goods. company nor other Google AdWords advertisers receive information from Google that could identify the data subject. pass these personal data collected through the technical procedure to third parties. deny the setting of cookies. Such a setting of the Internet browser used would also prevent Google from placing a conversion cookie on the information technology system of the data subject. and videos, as well as disseminate such data in other social networks. course of this technical procedure, Instagram becomes aware of what specific sub-page of our website was visited by the data subject. she can prevent this by logging off from their Instagram account before a call-up to our website is made. spread so-called ‘tweets,’ e.g. short messages, which are limited to 280 characters. These short messages are available for everyone, including those who are not logged on to Twitter. audience via hashtags, links or retweets. introduce this web page to the digital world and increase our visitor numbers. she may prevent this by logging off from their Twitter account before a call-up to our website is made. videos, trailers, and videos made by users via the Internet portal. the data subject. This information is collected by YouTube and Google and assigned to the respective YouTube account of the data subject. data subject, the delivery may be prevented if the data subject logs off from their own YouTube account before a call-up to our website is made. payment option, the data subject agrees to the transfer of personal data required for payment processing. processing. The processing of the purchase contract also requires such personal data, which are in connection with the respective order. for identity and creditworthiness checks. used or transmitted in accordance with (contractual) payment processing. the processing is based on Art. 6(1) lit. c GDPR. In rare cases, the processing of personal data may be necessary to protect the vital interests of the data subject or of another natural person. if the data subject is a client of the controller (Recital 47 Sentence 2 GDPR). from WILDE BEUGER SOLMECKE, Cologne.